Judge Keys also imposed a 15-year driving ban on Miko. Miko was twice over the drink driving limit and driving at a speed of 120kmph when the BMW car he took without permission struck McNamara who was walking on a footpath at a roundabout in a built-up area in Ennis at 10.05pm on 26 October 2016. At the sentencing hearing, Judge Gerald Keys described Miko’s driving as ‘reckless’ on the night. In court today, McNamara’s parents, TJ and Breda along with brothers, Stephen, Barry and identical twin, David, were present for the sentencing. Eugene comes from a proud GAA tradition as Stephen is a double All-Ireland winner with Clare’s hurlers from the 1990s while his uncle, Ger Power – who was also in court today supporting the McNamaras- won eight All-Irelands with Kerry’s footballers in the 1970s and 1980s. Miko pleaded guilty to dangerous driving causing the death of McNamara and drink driving on the date. On the aggravating factors in the case, Judge Keys stated that Miko’s driving caused the death of an innocent pedestrian while walking on the footpath; the speed at which he was driving; that Miko was twice over the drink driving limit; left the scene of the accident and that he took the car without the owner’s consent. Judge Keys told Miko that he has caused “a devastating effect on the McNamara family”. Judge Keys stated that Miko did make an early guilty plea; co-operated at Garda interview; has shown remorse and has no previous convictions. Judge Keys said that Miko comes from Slovakia with a Gypsy background and came to Ireland in 2006 aged nine. Judge Keys said that Miko has nine siblings and that he had a difficult upbringing on account on his family’s relatively impoverished status and as well as suffering ongoing racial discrimination in his home place. Judge Keys pointed out that the Probation Officer in the case stated that Miko is concerned “that the level of insight into your offending behaviour may be lacking”. Miko’s partner is expecting their second child together. Judge Keys told Miko that on the spectrum of the seriousness of his driving and his conduct, “I would put it way above 50% and that is reflected in the sentence”. CCTV footage shown at Ennis Circuit Court captured the high speed of Miko’s BMW on the dark night and McNamara walking along the footpath opposite McDonald’s in Ennis before the fatal impact. Miko’s car was travelling at more than twice the local speed limit of 50kmph. Before Miko’s car struck McNamara, it first hit another car putting the other car airborne and spinning a number of times. The gardaí investigation found that Miko’s car made no effort to reduce its 120kmph speed before coming into the roundabout. In a victim impact statement on behalf of the McNamara family, Stephen McNamara said that Eugene “was left to suffer alone on the side of the road” as the CCTV footage showed Miko and his passenger get out of their car and flee the scene. McNamara died a number of days later from his injuries and Asst State Pathologist, Dr Margaret Bolster found that McNamara died from severe traumatic brain injury as a result of blunt force trauma in a road traffic collision. In his first garda interview, Miko maintained his right to silence and at first, didn’t admit culpability. I am maybe 30% to 40% responsible but I can’t be 100% responsible because I don’t think I was the driver. He said that Eugene’s involvement with Eire Óg GAA as a player, coach and manager started when he was eight years of age. Those left behind he said, “are living a daily nightmare with the horrible thoughts of what happened Eugene as he walked home alone innocently on the footpath that night”. 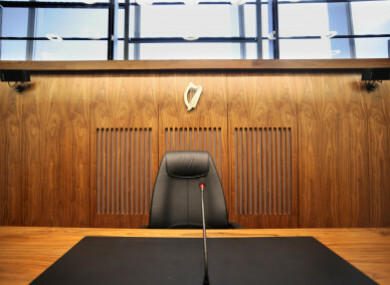 Email “Drunk driver who killed GAA coach jailed for four years ”. Feedback on “Drunk driver who killed GAA coach jailed for four years ”.